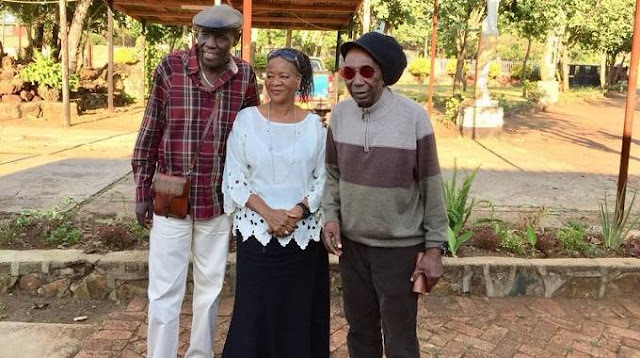 Harare - Oliver ”Tuku” Mtukudzi’s widow Daisy, has opened up on the death of the late music icon. The singer succumbed to diabetes on Wednesday afternoon, after a long illness in a Harare hospital. . In an interview conducted with media, Daisy revealed his husband's long fight with diabetes, saying said that they made all efforts to keep him alive but in the end, heaven had its way. ”Life will never be the same again without Tuku, we tried our best for him to survive, but he was elevated to heaven,” said Daisy. The widow and mother of the late Sam Mtukudzi added that the wound that the musician has left will be difficult to heal and that they will safeguard his legacy. ” We will safeguard his legacy and the projects he started. Of course it will be difficult but the almighty will help us,” she said. Mtukudzi born on 22 September 1952, was a Zimbabwean musician, businessman, philanthropist, human rights activist and UNICEF Goodwill Ambassador for Southern Africa Region. Tuku was considered to have been Zimbabwe's most renowned and internationally recognised cultural icon of all time. He grew up in Highfield, a ghetto neighborhood in the Zimbabwean capital of Harare and began performing in 1977 when he joined the Wagon Wheels, a band that also featured Thomas Mapfumo and fellow legendary guitarist James Chimombe. Their single Dzandimomotera went gold and Tuku's first album followed, which was also a major success. Mtukudzi is also a contributor to Mahube, Southern Africa's "supergroup". With his husky voice, Mtukudzi has become the most recognised voice to emerge from Zimbabwe and onto the international scene and he has earned a devoted following across Africa and beyond. A member of Zimbabwe's KoreKore group, with Nzou Samanyanga as his totem, he sings in the nation's dominant Shona language along with Ndebele and English. He also incorporates elements of different musical traditions, giving his music a distinctive style, known to fans as Tuku Music. The African icon has since been accorded a National Heroes's status.